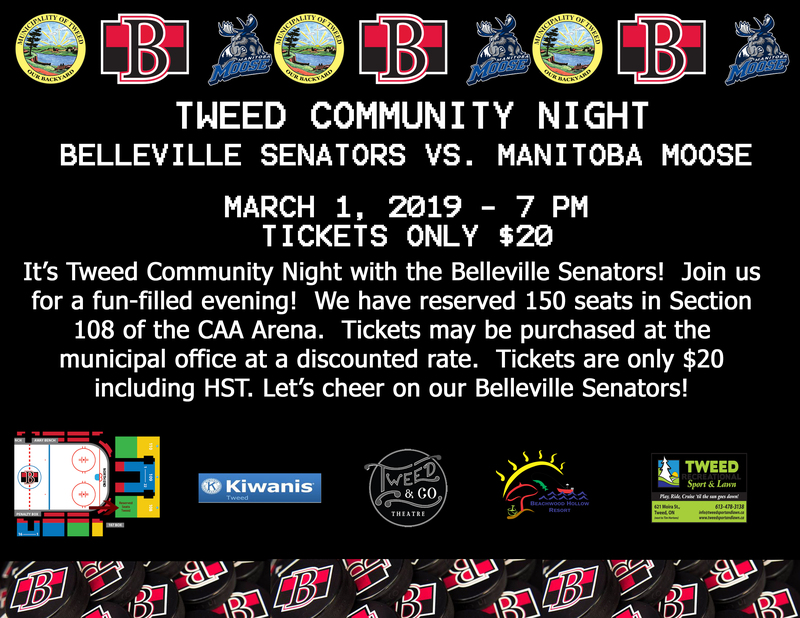 It’s Tweed Community Night with the Belleville Senators! Join us for a fun-filled evening! We have reserved 150 seats in Section 108 of the CAA Arena. Tickets may be purchased at the municipal office at a discounted rate. Tickets are only $20 including HST. Let’s cheer on our Belleville Senators!